Christmas cards are now available to buy from my Make Play Do shop! (see the link to the left) There are two designs, both reproduced from original linocuts designed and printed this week. 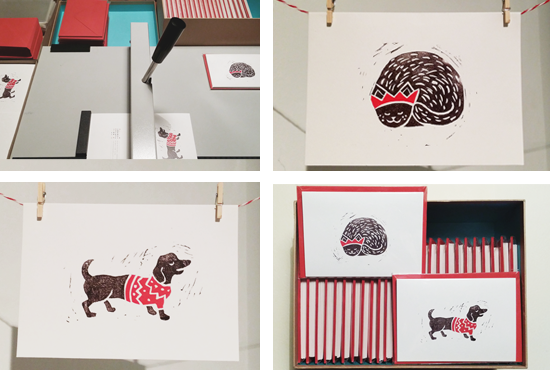 Reproduced onto a quality Conqueror 300gsm wove board, I've paired them with lovely poppy red envelopes. Each card has been individually scored by me on my lovely new creasing machine, and lovingly folded and cellophane packed in sets of 5. 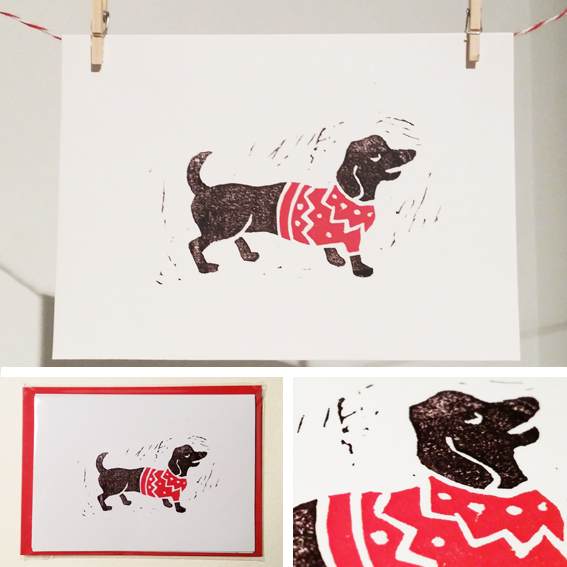 These would be great for dog-lovers, cat-lovers, print-lovers and general Christmas-lovers. Check them out now! These are making their way to you now Hannah! Make Play Do is the creative blog of Emily Kane (http://www.emilykane.co.uk) You'll find 'how to' projects, personal work, craft ideas for kids and for the home, designs, and some reviews too. I'm also selling some work in my online shop too. "Oh hi Waterstones, nice cards!" 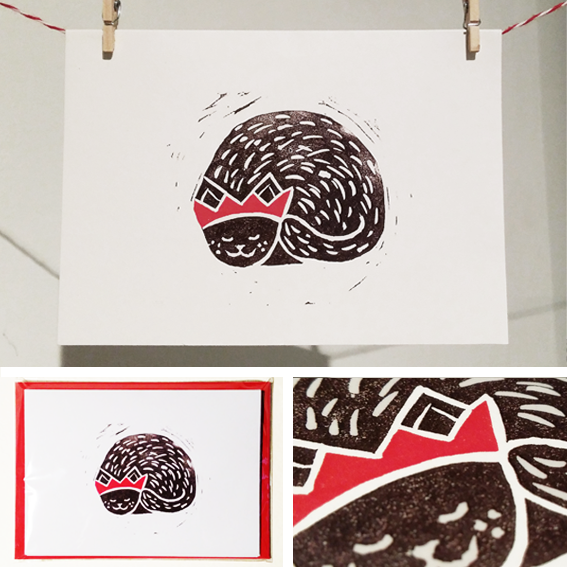 2 colour linoprints in the Make Play Do shop now! Visit Make Play Do's profile on Pinterest. Copyright Make Play Do/Emily Kane 2014. Simple theme. Powered by Blogger.